Wow, what an amazing collection this is. 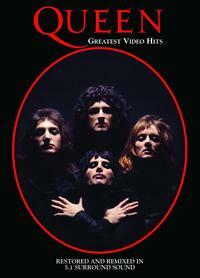 It’s a two DVD set featuring what is probably all the videos Queen ever did. While it’s probably true that most people have particular periods of Queen’s musical career that stand taller than others, there is no debating the talent and particularly the magic and talent of Freddie Mercury. I mean, yes, everyone in Queen was talented. But, Mercury was arguably the most quintessential lead singer and front-man of any rock band. He was a born entertainer and this set of videos really showcases that. While some of the stuff seems dated by today’s standards, it’s all worth having. I would have to recommend this to any Queen fan, even if the attraction is just casual. Those who have the two previous Video Hits releases, though, might want to skip on this one, because it is all the same material. Those who, like me, didn’t already have this, though, will find it a great way to get your collection in one shot.